You deserve the best. Whether it’s at home or at your place of work, the same is true: you need a space that is comfortable and safe day after day. That’s why it is so important to put a little thought into your gas lines. They work to keep your home and commercial building running smoothly. How? Gas lines link up to your HVAC unit, indoor and outdoor appliances, and more. Since they are essential to both your convenience and comfort, we put your needs first. At Heating Ontario we provide gas line install services to our clients throughout Toronto and the GTA. There are many reasons you may need to have a gas line installed. It could be an outdoor barbecue for your newly refurbished backyard or you may require a gas line install for your heating and cooling system. 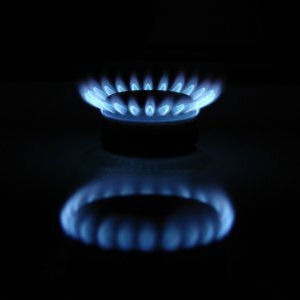 A gas line may also be needed for your fireplace, stove, or other appliances. Whatever the reason, we take that need and turn it into a reality. If you want a totally new line installed or simply need your old line shifted over or moved, just turn to Heating Ontario. We have the tools necessary to get the job done safely, quickly, and accurately. We believe in improving your space. That is why we focus on both quality and safety. They are our priorities! As a result, each member of our team has the know-how needed to perform gas line installation properly. Our installations meet standards every time, leaving you with results you’re sure to notice. Each one of our professionals are fully trained and ready to give your residential or commercial space the upgrade it deserves. In addition to proper training, we also use the best tools and equipment for the job. You can always feel good putting your trust in Heating Ontario. Heating Ontario is proud to deliver quality results to our customers day after day. Our gas line install services are simply unbeatable. Yes, we leave our competitors in the dust! We give you the same level of excellence you’ve come to expect from our other heating and cooling services. Our focus on quality combined with our attention to detail means that your gas line installation will be top-notch every single time. So, you never have to worry about sloppy or rushed installation at your residential and commercial space. All of our professionals bring years of skill, experience, and knowledge right to your doorstep. Having a gas line in your residential or commercial space is a must. It ensures that everyone living or working in the area is comfortable. That’s right, gas lines keep your indoor temperature stable, even on the coldest of days. Since your well being is so important, we provide all of our clients and customers with quality service and installation whenever it is needed. For repairs, installations, and all of our other heating and cooling services, choose Heating Ontario. Do you need gas line install services? Then look no further. Our Heating Ontario professionals are ready to improve your residential and commercial space…one installation at a time. You deserve the best, so always use the best heating and cooling company. We’re waiting for your call! Do you need information about Gas Line Install services in Toronto or the GTA? Contact Us at: 647-591-0537. At Heating & Cooling Toronto we bring quality heating and cooling installation, repairs, maintenance, and inspection directly to your home.